President Donald J. Trump announced via Twitter Saturday morning that he will release the long anticipated classified files surrounding the assassination of President John F. Kennedy. 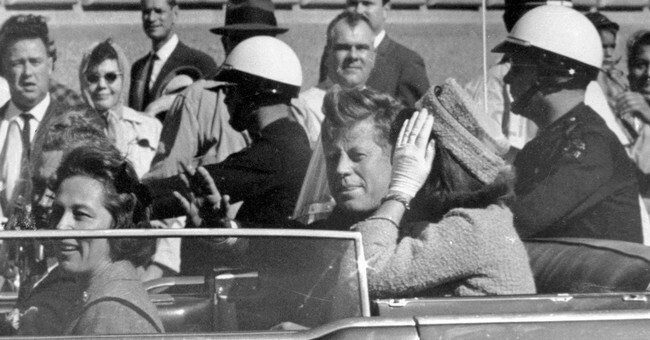 There are currently more than 3,000 classified documents in the National Archives regarding JFK’s death and the investigation into his killer, Lee Harvey Oswald. 25 years ago, Congress passed the President John F. Kennedy Assassination Records Collection Act of 1992 which ordered the acting commander-in-chief to release all JFK files by October 26, 2017, barring any threat to national intelligence or security. Reports earlier this week claimed that Roger Stone, long time Trump ally, was lobbying the President to release the documents. Stone, an infowars.com contributor told the publication on Thursday that President Trump was all ears on releasing the highly intriguing documents. Stone goes on to claim that the documents will show that Lee Harvey Oswald was trained by the CIA and acted on their commands. Many have often speculated that Oswald was part of a larger group and did not act alone, as has been the official story since 1963, the year of Kennedy’s death. However, these theories are just pure speculation. As Jeff Crouere said earlier on Townhall.com, the only way for complete trust and transparency is for full release of the documents. “The President needs to strike an important blow for openness and transparency in government and allow the American people the opportunity to learn the complete story about the Kennedy assassination. Hopefully, nothing will interfere with the online disclosure of all of the JFK documents.